Staying on top of your network can take time away from what you do best: focusing on your customers. 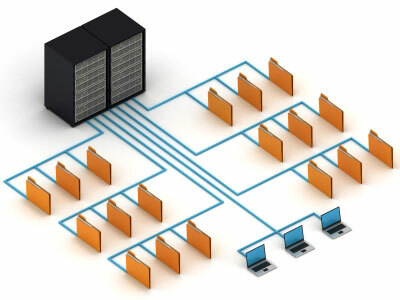 At BlueStor, we offer a full range of strategy, design, deployment and support options for LAN and WAN environments. Although the cost is truly hard to quantify, we all know there IS a cost to constant computer network glitches and downtime. Depending on your business operations, and how you use the technology in your office, the cost may be significant. The Good News is That We Can Help You. Most companies put up with computer network problems and frustrations simply because they don’t know how to fix them, or because they think it will require a huge investment or system upgrade. In fact, 97% of the day to day problems that you experience with your computer network can be fixed easily and inexpensively with regular and proactive maintenance from us. At no cost or obligation, we’ll come on site to perform a complete Health Check Audit (worth $295) to see if your computer network is properly maintained for maximum speed, security, and performance. We’ll look for hidden problems like spyware, failing hard drives, or out-of date security patches, as well as check your computer network’s security, system backups, and other critical maintenance issues that can turn into extended downtime and expensive repair bills. Alternatively if your business is growing we can use this time to advise you on upgrading your existing computer network installation with a new server, remote access technology or other computer networking technology. Upon completion, we’ll give you a detailed report that will show where you are vulnerable to security attacks or other failures, as well as provide recommendations on how to resolve these issues as quickly and inexpensively as possible. As with all good things, we can only provide a limited number of computer network audits each month, so either call us now at 404.843-2583 (BLUE) or use the sign up link to reserve your audit. Interested in learning how to make technology actually work for you? Sign up for our Free Problem prevention Audit.